Paying off debt like a mortgage or other loans generally means budgeting, careful evaluation of your financial situation and forgoing unnecessary expenses to keep up with payments. You need to carefully track your finances to be sure you can continue to pay your mortgage each month. Now that winter is in full swing, many people in the colder regions of the U.S. are dreaming of warmer days. The thought of the next mortgage payment or other debts could be holding some people back from taking a fun or relaxing vacation. With some careful planning and budgeting, a trip to somewhere warm can still be possible. If you stick to these two rules, you should be able to enjoy a nice vacation. Of course, sticking to these rules requires careful planning. If you are able to pay for your vacation upfront while still making your regular mortgage payments, you will be able to enjoy a vacation without financial worry. If you are paying off any kind of debt, whether it be a mortgage, credit card or student loans, you should have a budget. This helps to set aside money from your monthly income that will be dedicated to necessary bills and other payments, such as utilities and groceries. Your budget probably has some room for entertainment and recreational costs. It’s important to have these included for a couple reasons. First, it helps when non-fixed payments such as utilities bills spike, because you have some extra money to allocate to them. Second, only dedicating money to payments and savings is good in theory, but can be hard to stick to. Many times, when people make budgets that are too rigid or too much of a lifestyle change, they stray from the plan and wind up further in debt. Some people set this aside for weekend activities, like eating at restaurants or going to shows. However, you can also choose to put it away to save for your vacation. The idea is that you will be able to afford the vacation only with money you already have. Putting expenses on a credit card or taking out a personal loan for the trip could put you further in debt. 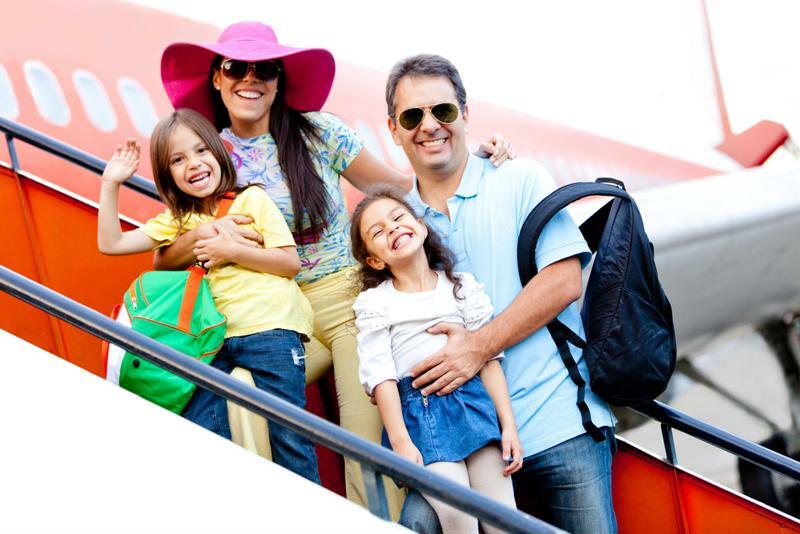 You will want to carefully plan your trip so it is as cost-effective as possible. You may have to give up some expectations of your ideal vacation in order to afford it. For instance, you may have wanted to eat at all the best restaurants during your stay. While it is fun to explore the culinary specialties of a new area, you may discover it is more economical to find a few lower-priced restaurants or even a grocery store for some of your meals. Choose one or two popular restaurants to eat at and calculate them into your trip budget. Looking into nontraditional sleeping arrangements will also help cut down on costs. Rather than finding a hotel, check out available hostels in the area, or rent someone else’s space through Airbnb. There are also some free options for staying, like house sitting, couch surfing or home exchange, Independent Traveler explained. Getting to your vacation spot is often the most expensive part of the trip, especially if you are flying. USA Today suggested signing up for airlines’ newsletters, where they usually highlight cheap flights and other deals. Real Simple explained international airlines also may have lower rates than U.S. airlines, so shop around. Or, if you are traveling somewhere you can drive, consider that option. Gas prices are low right now, so it may be more economical than flying. Traveling with a mortgage obligation isn’t impossible, but it will take some extra budgeting and creative planning. For information on your mortgage options, contact Lenox/WesLend Financial or call 844-225-3669. As heard on the radio, it’s the biggest no-brainer in the history of mankind.